Size: 6.5" x 10 1/4"
Description: This is a free giveaway card distributed in May of 2018. 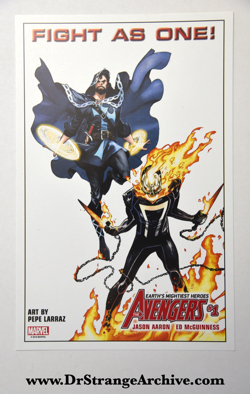 It was called a "Litho" that was produced to advertise the new Avengers series. Several different versions of these were produced. This version has Dr. 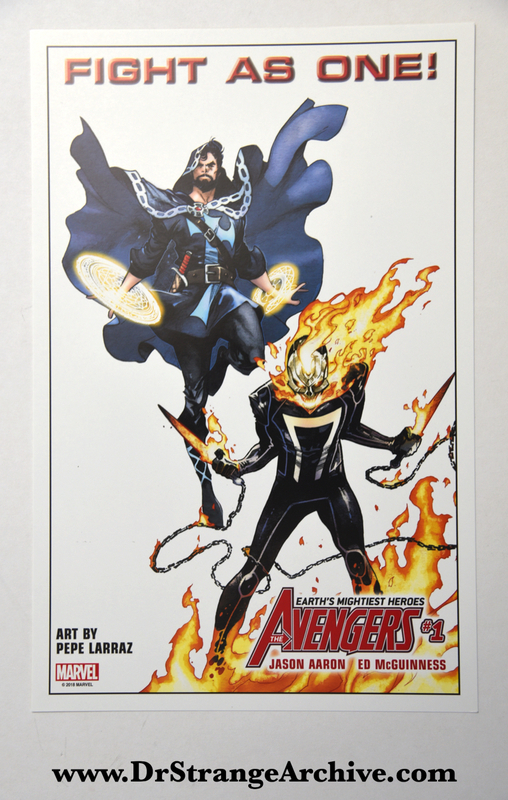 Strange and Ghost Rider on it.